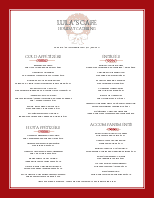 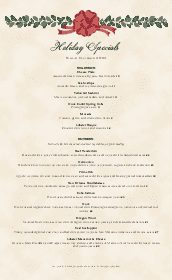 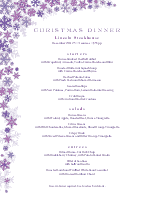 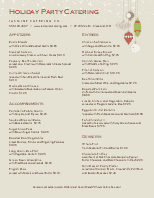 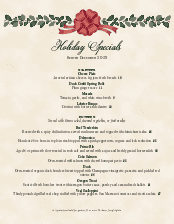 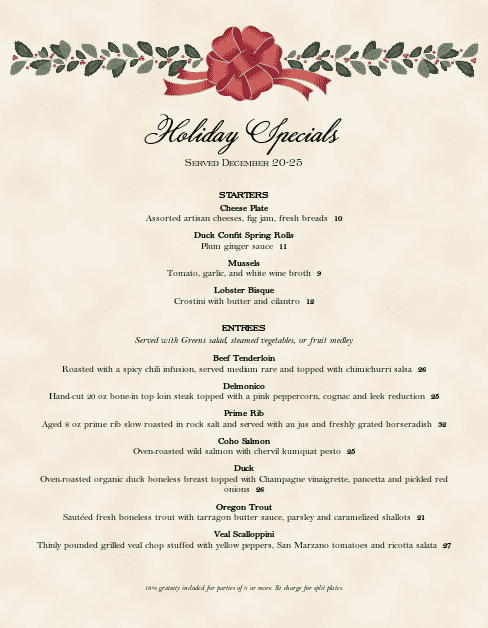 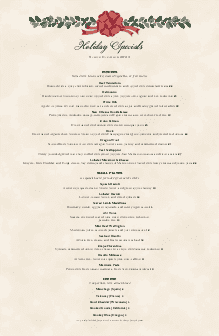 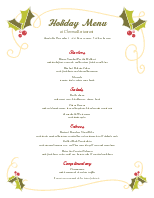 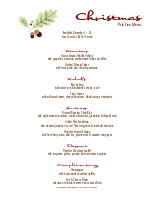 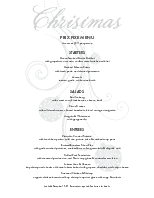 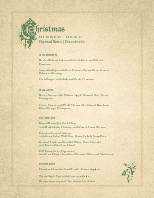 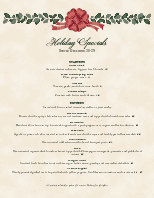 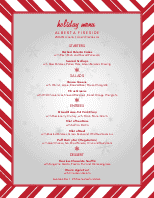 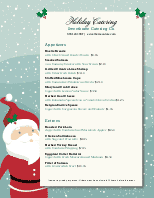 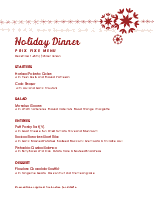 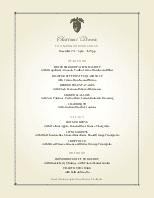 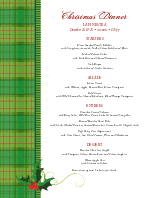 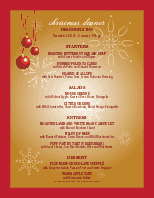 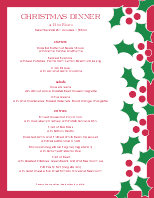 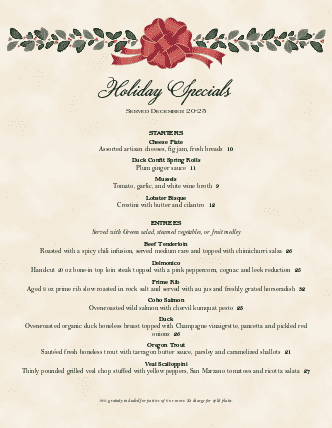 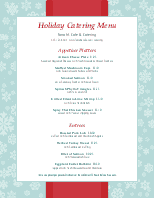 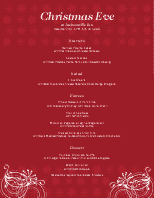 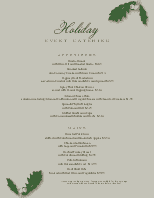 The Holiday Dinner Menu is a restaurant menu template with a friendly Christmas theme. 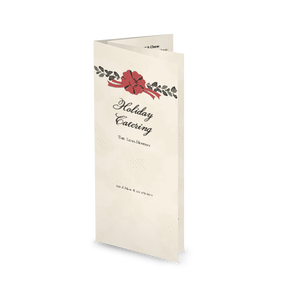 The background is a textured paper in warm tan, with a banner of green holly leaves and red winter berries topped with a red ribbon bow. 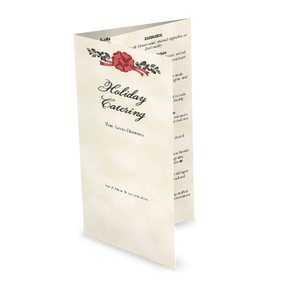 A prix fixe dinner, specials, or catering selections are listed in a single column, easily customized for your restaurant's holiday festivities.